Polyglycerol esters of fatty acids is called polyglyceryl ester, an emulsifier in which fatty acid is bound by esterification with polyglycerine, and generally it is dispersible in water and soluble in oil. Its hydrophilicity and lipophilicity greatly change with the degree of its polymerization and the kind of fatty acid. Its HLB ranges from 3 to 13. 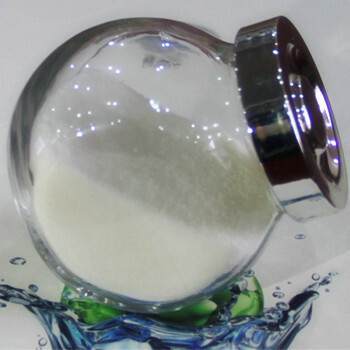 Triglycerol monostearates has a variety of functions depending on these conditions, and is usable for various purposes. It is used in many types of food as an O/W and W/O emulsifier for milk products containing acid and salt and a modifier to control the crystallization of fats. Maintains fine and stable water~oil dispersion. Improves stability and plasticity. Improves stability. Shortens whipping time. Enlarges cake size and keeps homogeneous texture. Prolongs shelf life. Adjusts oil crystal. Improves stability and whipping strength. Shortens whipping time. Improves foam volume and structure. Creates nice and stiff foams. Prevents delamination and sedimentation. Provides smooth mouth feel. Gives a more uniform fat globule size distribution resulting in improved whitening effect and dissloves in water well. Enlarges cake volume. Improves cake texture and paste stability. Prolongs shelf life. Enlarges cake volume. Improves cake texture. Prolongs shelf life. Improves texture and prolongs shelf life. Improves oils and fat dispersion. Decreases syrup viscosity and adjust crystalization of confections. Promotes emulsifying of dairy fat. Prevents thick ice crystal. Improves mouth feels and shape retention. Increases bulging rate. Promotes dispersing of fats and prevent delamination. Polyglycerol esters of fatty acids have other wide applications in the pharmaceutical industry、sugar industry、cosmetic、plastic、light textile、petroleum Industry、synthetic resin、rubber processing and fruit & vegetable fresh-keeping and so on.